"Double board certified in Surgery and Thoracic Surgery, and is a member of the Society of Thoracic Surgeons, the New York Society of Vascular Surgeons" Francis X. Carroll, M.D., FACS, was born, educated and trained in New York City. After serving in the U.S. Navy he received a BA degree from New York University, and an MD degree from the SUNY College of Medicine in Brooklyn. This was followed by General Surgery residency at St. Vincent’s Hospital in Manhattan, and specialty fellowship training in Cardiovascular Surgery at SUNY Brooklyn. 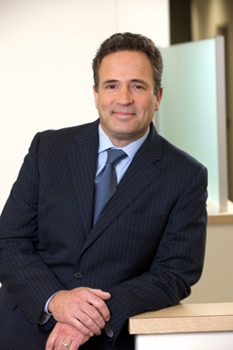 He is double board certified in Surgery and Thoracic Surgery, and is a member of the Society of Thoracic Surgeons, the New York Society of Vascular Surgeons, is Assistant Professor of Surgery at New York Medical College, Chief of Thoracic Surgery at Putnam Hospital Center and Northern Westchester Hospital, Medical Director of the Center for Wound Healing and Hyperbaric Medicine at Putnam Hospital, and is President of the Putnam County Medical Society. Dr. Carroll has a special interest in minimally invasive thoracic surgery, endovascular procedures and varicose vein treatments.